Staffordshire MP Michael Fabricant has apologised after he talked about punching a prominent female journalist in the throat. A statement issued by the Conservative Party called the remarks “unacceptable” and warned that Mr Fabricant must apologise. 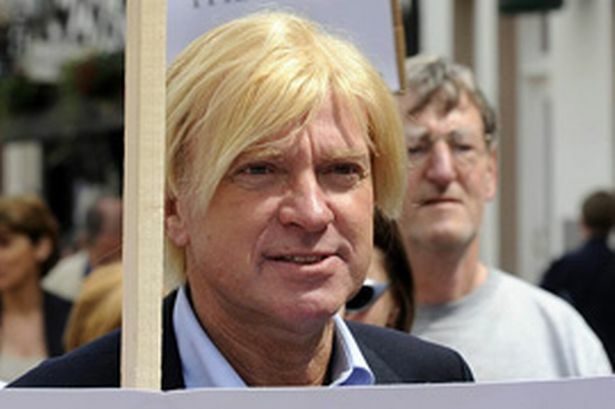 Mr Fabricant, Conservative MP for Lichfield, delivered the shocking comments on Twitter, where he has 17,000 followers. It followed a heated television debate on Channel 4 News between left-wing journalist Yasmin Alibhai-Brown and Rod Liddle, a former BBC producer who writes for the right-wing Spectator magazine. They were discussing the Government’s response to claims extremists had attempted to take over Birmingham schools. The comment provoked an immediate reaction on Twitter, with many users demanding the MP apologise. Mrs Alibhai-Brown responded on Twitter - saying: "The tweet was offensive & your &apos;apology&apos; useless. Tories like you think people like me should be ayahs or selling you curry". An ayah was a nursemaid or nanny employed in India during the days of the British Empire. She told the BBC that the Conservative Party should withdraw the whip from Mr Fabricant, effectively expelling him from the Parliamentary party. Chris Worsey, Labour’s prospective Parliamentary candidate in the Lichfield seat, said: “I condemn Mr Fabricant’s comments. He appears to be advocating violence towards women. It’s not the first time Mr Fabricant has got in trouble over his use of Twitter. He was sacked as Conservative vice-chairman after criticising former Culture Secretary Maria Miller - saying it was “about time” after she resigned in April - as well as joking that he was having an affair with a llama. Bizarrely, it’s not the first time Mrs Alibhai-Brown, one of Britain’s most prominent Muslim journalists, has been the subject of bad taste jokes on Twitter either. He was arrested over the remark but the Crown Prosecution Service dropped the case without taking action. Mr Compton apologised and stood down from the council.